gear up to get the rooftop solar installed soon if you have not installed. 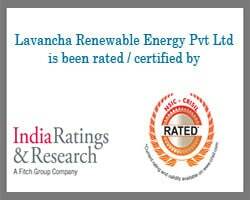 promote green energy in India. portion of the nations solar sector over the next 3 years. power woes in the wake of grid failure. The Canadian International school, Bangalore runs 100 percent on solar energy! the school requires 4,25,000 kW energy in a year. The power they produce is more than enough for the school’s needs. The school currently produces 5lakh kilowatts of energy per year using Solar energy. They are gearing to produce 300 kilo watts per hour at peak capacity.